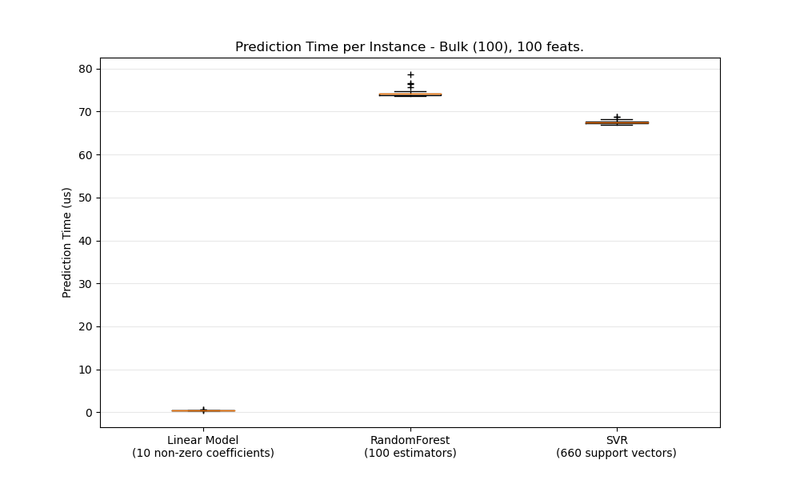 This is an example showing the prediction latency of various scikit-learn estimators. 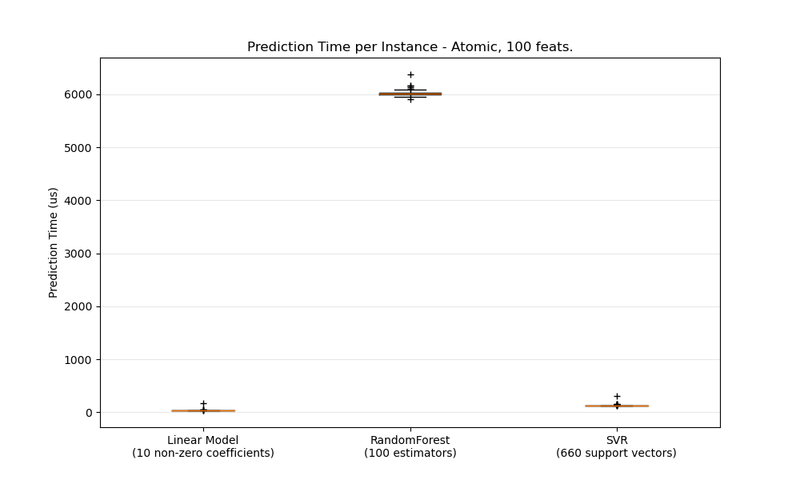 The goal is to measure the latency one can expect when doing predictions either in bulk or atomic (i.e. one by one) mode. 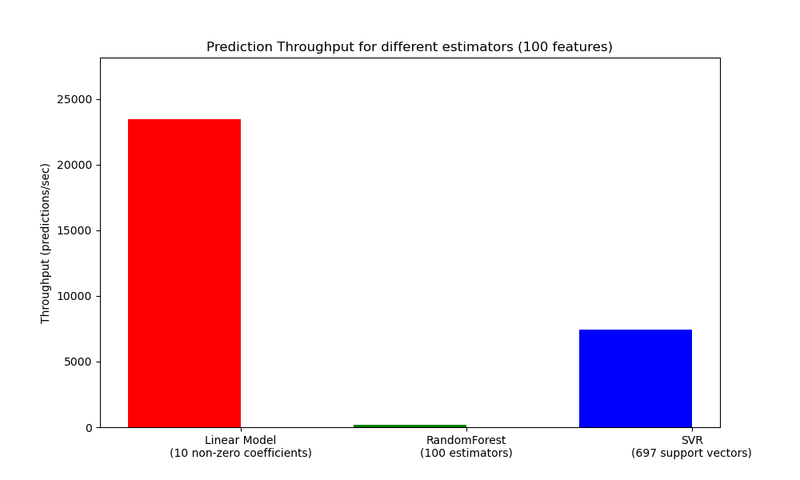 The plots represent the distribution of the prediction latency as a boxplot. """Measure runtime prediction of each instance.""" """Measure runtime prediction of the whole input.""" Measure runtimes of prediction in both atomic and bulk mode. """Generate a regression dataset with the given parameters.""" Plot a new `Figure` with boxplots of prediction runtimes. 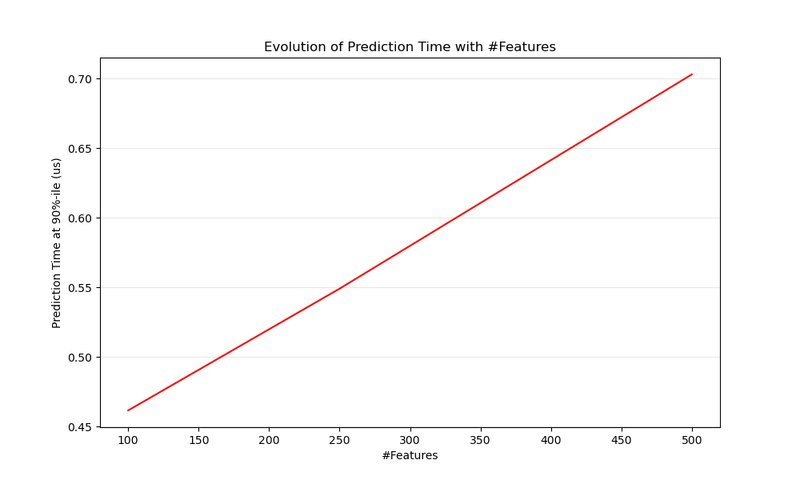 Estimate influence of the number of features on prediction time. """benchmark throughput for different estimators."""